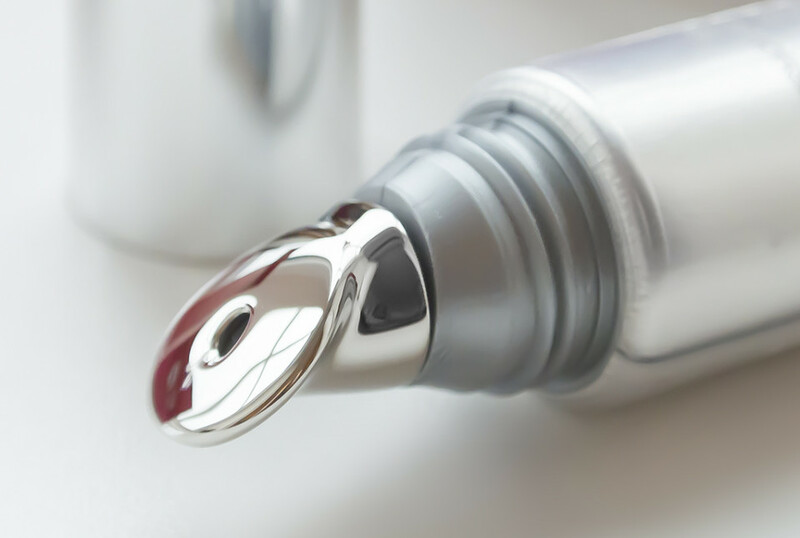 I’m a massive fan of the original KIKO Skin Trainer You Generating Serum as you can read, so imagine how excited I was to discover 2 new additions to KIKO’s targeted skincare solutions regime. Firstly the packaging makes me want to die, it’s just so beautiful, particularly the Anti-Spot with its metalic-matte, red, dropper bottle. The photo directly above shows the eye treatment on the left and the anti-spot treatment on the right. 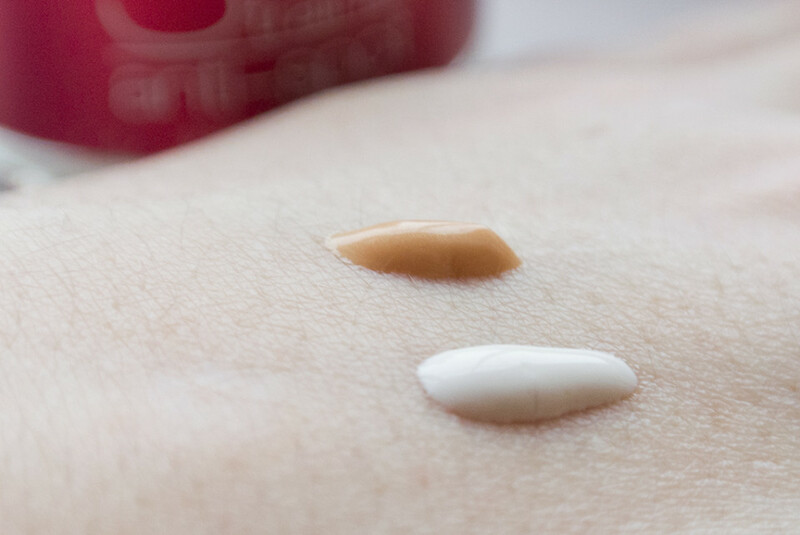 It’s odd to see an SPF in a serum, but there you go. With SPF 20, this lightweight, highly absorbent treatment lightens, brightens and hydrates the skin. After a tonne of research, I discovered the serum works on a complex or something similar to ACTIWHITE™ (there’s no disclosure of the actives anywhere from KIKO; it’s really odd) produced by BASF. ACTIWHITE™ is a complex of pea extract (finally a good use for peas!) and sucrose dilaurate which has been proven to visibly lighten and brighten dark marks and imperfections; reducing age spots. There’s also a good does of Lactobionic acid (sounds like million-dollar milk, I know) but you’ll like this one. A gentler form of glycolic acid, it breaks down the bonds of dead skin cells, speeding up and evening out skin cell turnover, whilst simultaneously bonding moisture to surface skin cells. This aids in the brightening of the skin whilst, in combination with glycerin, hydrates and plumps. 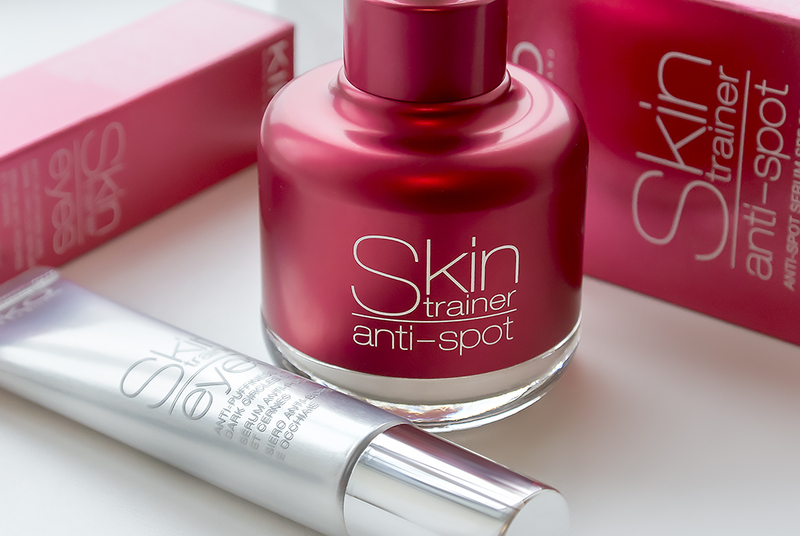 KIKO Skin Trainer Anti-Spot & Eyes is available for £22.90 here from KIKO Online. Smells like delicious Shea butter (even though it doesn’t contain any shea butter OR artificial fragrance; it could be the wheat? Not sure) and sinks in and smooths the eye area like a dream. With calming and soothing Witch Hazel and caffeine, two powerful anti-inflammatory and skin soothing ingredients, it reduces dark circles and puffiness by boosting micro-circulation to the skin – aiding lymphatic drainage (that’s an excellent thing! ), also enhanced by the metal applicator. Squeeze a small amount onto the end of the applicator and starting on the side of the nose-bridge, press firmly but gently and sweep down under the eye, back up and then down to the side of the nose. Repeat this a few times and then pat any excess in using your ring finger (has no individual tendon meaning you won’t poke yourself in the eye… to badly anyway). KIKO Skin Trainer Eye is available for £18.90 here from KIKO Online. This article first appeared on MANFACE written by Thom Watson. It was published on Wednesday 18th December 2013 and was last updated on Monday 3rd April 2017 at 3:20pm. It's categorised under KIKO Cosmetics where you'll find more related content. where is it for sale in UK ? Do you know what lactobioic acid’s INCI name is?